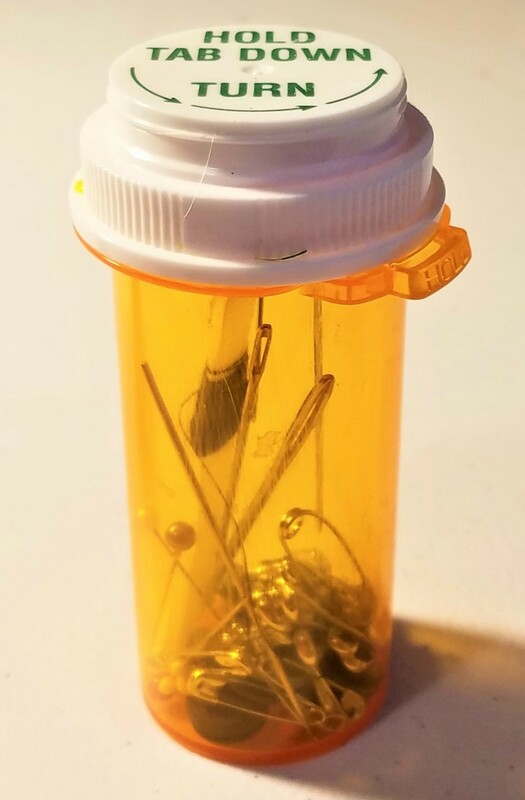 Use one of those old prescription bottles banging around in a drawer to make a small, portable sewing kit. This guide contains ideas for making a prescription bottle sewing kit. 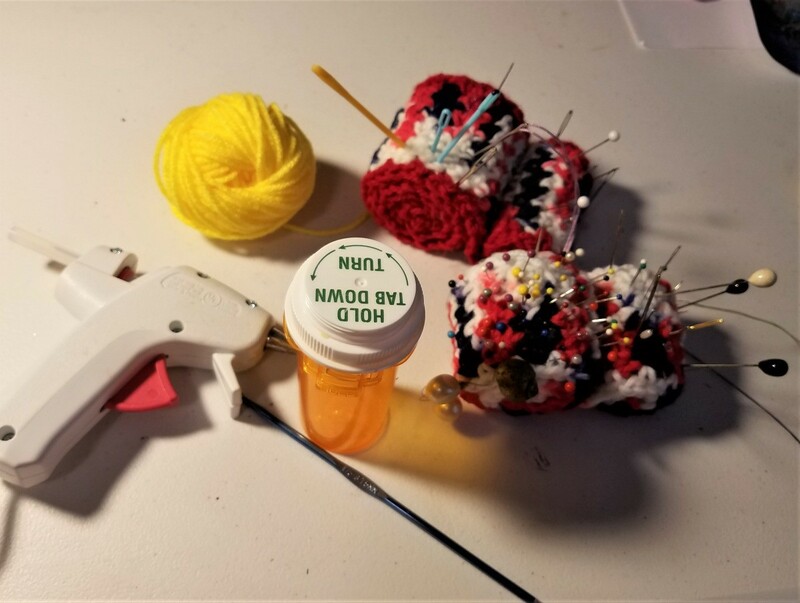 You can use a prescription bottle to make a little sewing kit for travel or as a gift for a college student. 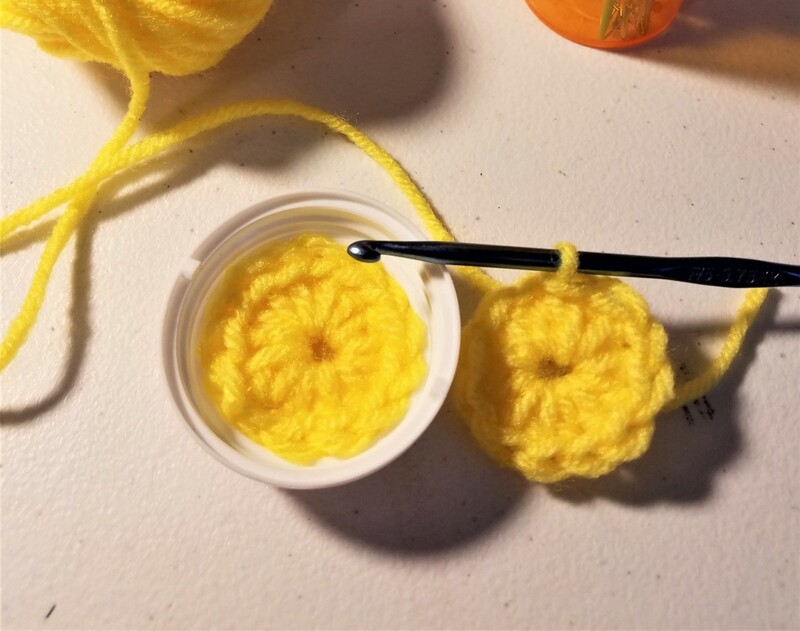 It's the perfect size to fit a couple small spools of thread, a few needles, a needle threader, a thimble and some buttons. 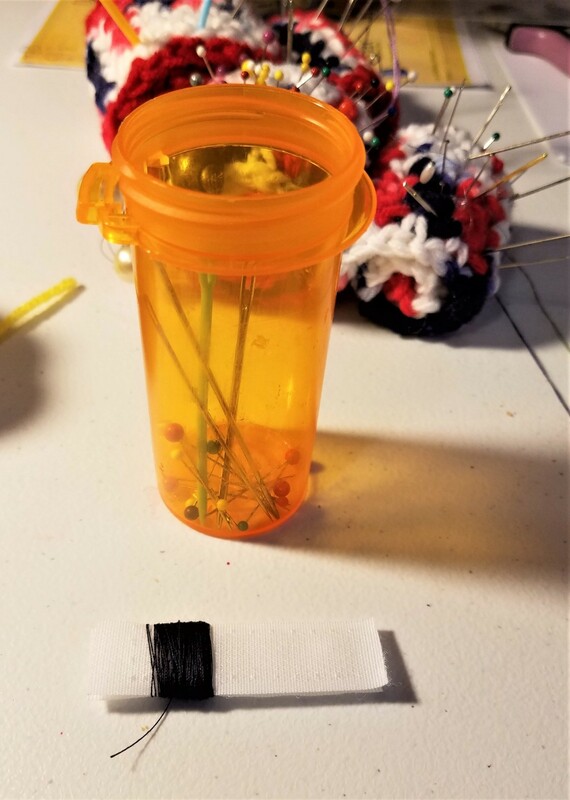 One way to reuse prescription bottles is as a portable sewing kit. 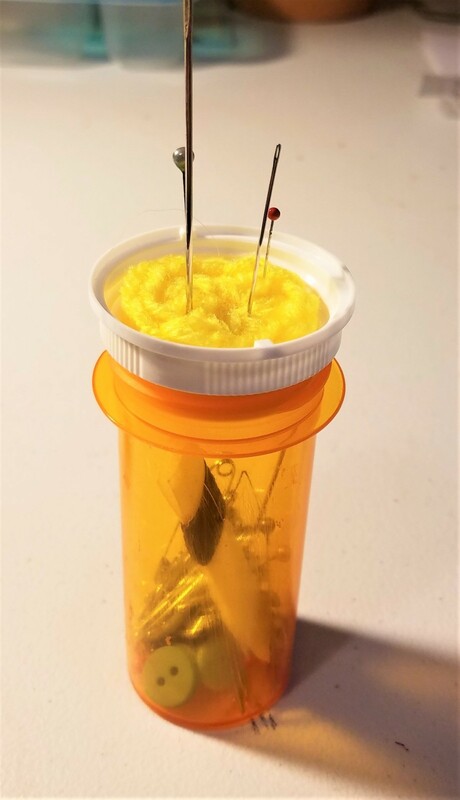 Put a spool of thread into the bottle, pierce a small hole in the lid and run the thread end out the lid. 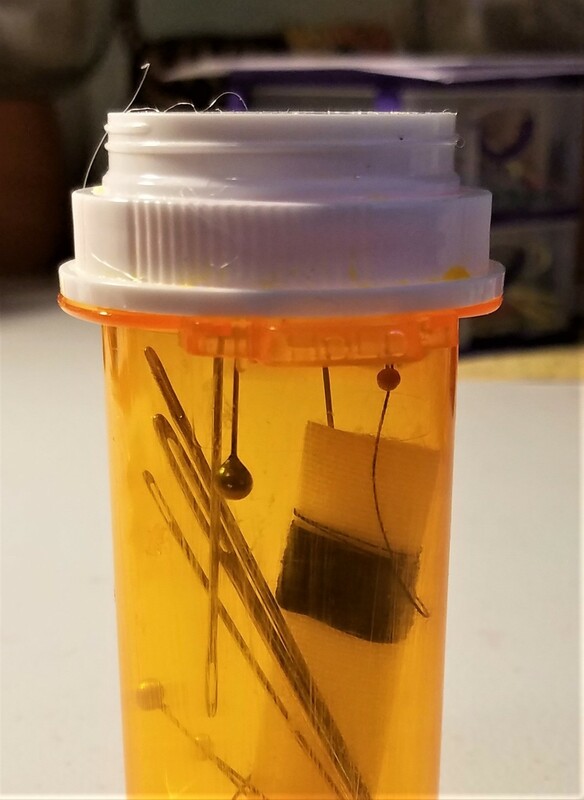 Put several needles and pins, however many you might need, inside. This way I can take sewing projects with me and finish them while I am waiting for appointments, etc. 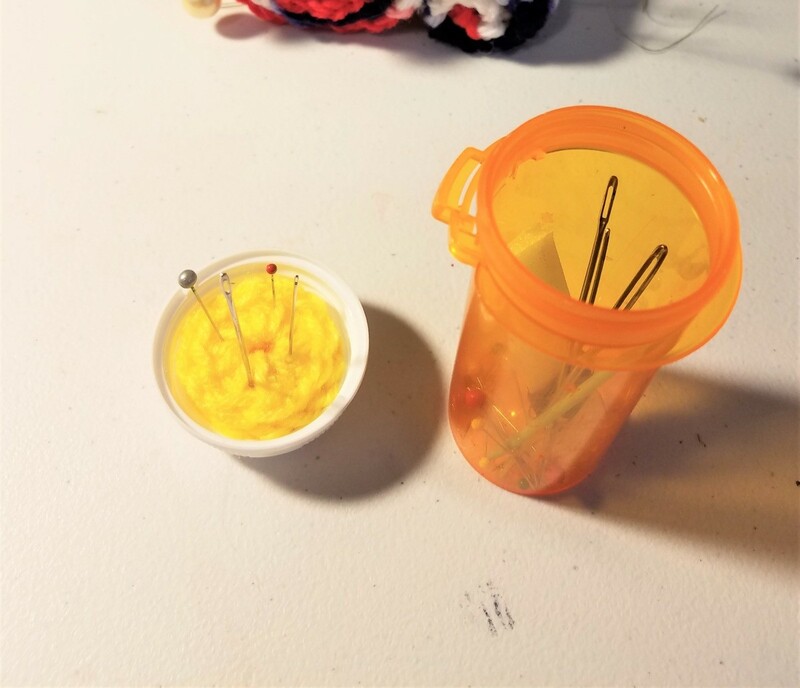 When I have a number of items to mend or hem, I either stack different bobbins in the bottle in different colors or use gray thread, which blends with almost any color. With about 30 minutes to spare, you can make this to keep in your car, purse, or RV. It's handy, safe from little ones, and waterproof. 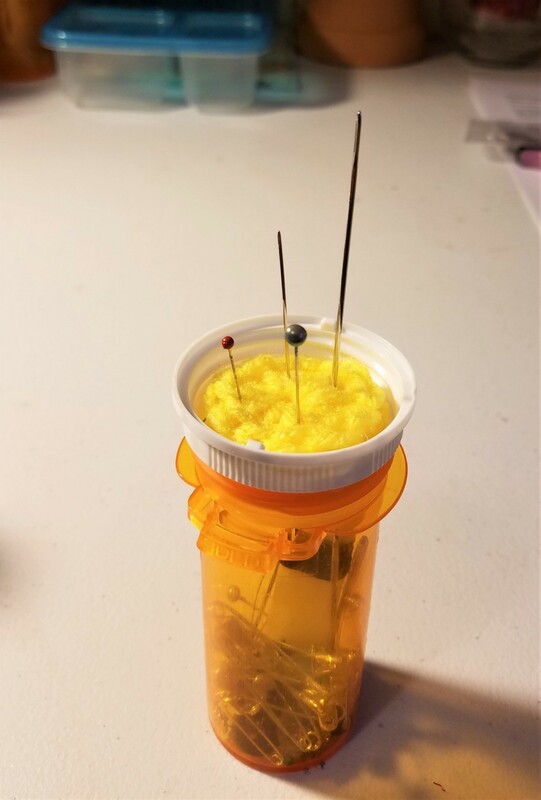 Choose the kinds of pins, needles, etc. that you want to add. Add them as well as the buttons. With your hook, make your loop. Chain 2 and make 13 more half doubles in the first chain. Join and break off. Make another just like it. It's really important to make two. Glue the first one in the "recessed" part of the cap. 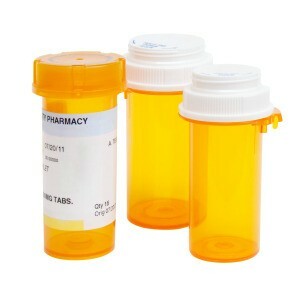 This is important for the container to work as a "kid safe" container. Then, glue the other one on top. You need this depth for the pins/needles to stick in secure enough to stay in when the cap is inverted. Wrap your thread around the Velcro. Now that you have it all in there, you can invert the cap and everything is inside for you to use, but able to be thrown into the car, purse, or RV and nothing can come out. You can even wrap it in contact paper if you want. N-JOY! !